Saree comes with unstitched blouse piece, which is attached with end of the saree only. Buyer have to cut blouse part from the saree and need to get it stitched from tailor. Stitching service is not available. 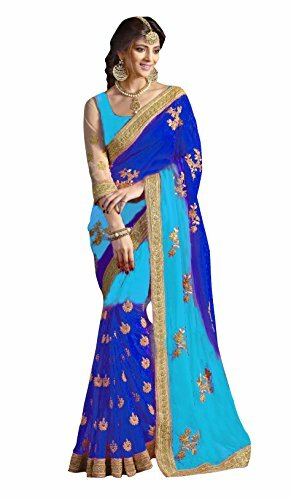 Saree for Evening,Cocktail, Wedding Party, Dating, Banquet, Formal Occasion.. If you have any questions about this product by Delisa, contact us by completing and submitting the form below. If you are looking for a specif part number, please include it with your message.